Thoughts on F! Kana build and advice for C slot skill? 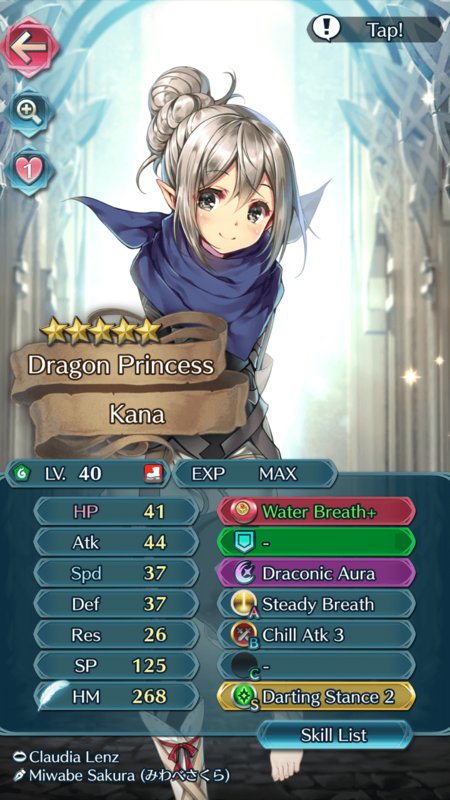 I wanna hear people's opinions on my Kana build and recommendations for the most optimal C skill. Atk Smoke is a nice skill for increased survivability, but it depends on who her teammates are. Pretty similar to my build, but I'd go Aether, QR, Atk Smoke, and Close Def seal. Stacking Water Breath with Close Def and a Breath skill is absolutely broken; my Kana just about walls every non-red melee unit except B!Ephraim, so it can be a pretty solid idea. QR is cause her spd is high, but not really high enough that I'd see her doubling all the time, which you'd probably want.